Water is your best friend, be inspired by it... join us! We are a successful, competitive and highly regarded club. 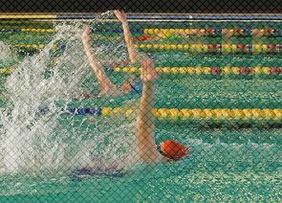 ​Our club swimmers, who are mainly aged between 6 and 18, compete at approximately 25 swimming competitions a year. The club is entering a new era, and to fulfil the next stage we have changed our guidelines. The guidelines are set at all distances and ages from 9 to 17. Ages are as at the 31st December in any year. Swimmers over the age of 18 years old must have a qualifying time for the Welsh Senior Age Groups which is held at Easter. Squads below F5, will continue to work on their technical and aerobic abilities, in line with LTAD. 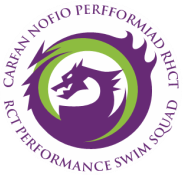 Keith Morgan is RCT performance's first head coach, he was the founder of Llantrisant Sharks Swimming Club. He has coached swimming for over thirty years gaining a vast amount of experience in all aspects of the sport. He produced his first British national swimmer in 1993 and many more have followed over the years. ​Keith has coached multi-classification swimmers in a club environment including during the 1990's Sasha and Nyree Kindred who have gone on to swim in four consecutive Olympic games. He is a UKCC level 2 coach (ASA club coach) and over the last twelve years he has assisted and run numerous Welsh squads most recently he has been selected to be the lead coach for the Welsh team at the 2016 school games. Away from the pool he can be found sitting next to a fishing lake or at a table in the Indiaah restaurant in Pontyclun. ​Tracy took on the role of Chairperson of RCT Performance Swim Squad when it was formed in September 2016. ​She is the former chair of Llantrisant Sharks Swimming Club and played a key role working with the local council and Swim Wales to facilitate a performance club for the area. A Level 1 Coach, Level 1 Swimming Teacher, J2W Official and a Level 2 Team Manager she has been back involved in swimming since her eldest child joined the sport in 2003. Both her children have gone right through all levels of the club her son still swims and is presently in an American University on a swimming scholarship, her daughter has gone on to use her swimming skills in a different direction as she studies for a career in marine biology. Gareth is a Level 1 Coach and got involved with coaching when his daughters joined the club. He is also a qualified J1 official. Recently, he is using skills gained in his professional career to introduce sports science students to assist with strength and conditioning training and a nutrition program with the Performance Level Swimmers. Nicola Jenkins has one son who swims with RCT Performance Swim Squad. ​Rhian Thomas has two children, one of which swims for the RCT Performance Swim Squad. She has been a member of the coaching staff for the past 6 months. She has just completed her first course covering starts & turns, and she looks forward to further developing her skills.